Are planted in our hair. Bobbing from side to side. Salty seas in strange ships. Reclaiming souls that were sold. The peopling of rural and urban places. To withstand the harshest seasons. To stop the sizzling sun. And the hard brown berries, so little. Tropical forests, rich soils and barren sands. Like plastic goods, glossy and sheened. Take off on their own wings. I have long been an admirer of Seboni’s poetry. As a teacher and national examiner I took every opportunity to use his poems – and that includes the many textbooks I co-edited. His honesty, humanistic outlook and direct, yet poetic, diction makes for contemplation and enjoyment. Barolong Seboni was born in Botswana on the 27th of April 1957. He spent his early years of primary and secondary schooling in London, England (1966-1970), and was in the USA from 1984 to 1987, where he studied for his MA in English Literature at the University of Wisconsin, Madison. He was a teacher at the Mater Spei College, Francistown, Botswana (1978-1983). He is currently a Senior Lecturer in the English department at the University of Botswana. Seboni has a long and fruitful experience in radio, television and print media, which started in 1985 when he gave several interviews on TV about his works as a student in the USA. Seboni has performed and recited his poetry in Zimbabwe, Malawi, South Africa, India, England, Scotland, Ireland, Colombia, Italy and the USA. 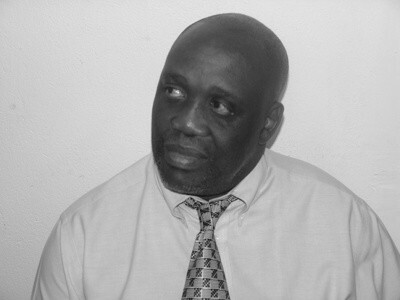 Seboni is also co-founder of the University of Botswana Writers’ Workshop and the Writers’ Association of Botswana. He is the founding chairperson of the Petlo Literary Arts Trust, and founding editor of MAHUBE literary journal of the Writers’ Association of Botswana. He toured the UK in 1990 as part of Poets on the Frontline. He was poet-in-residence at the Scottish Poetry Library, Edinburgh, Scotland in 1993, and Visiting Writer of the International Writers’ Program at the University of Iowa, USA in 2003.